James Wolfensohn competed for Australia in fencing at the 1956 Melbourne Olympics but his business career has far outshone his sporting one. He received a degree in law from the University of Sydney and worked briefly as a lawyer in Australia before attending Harvard Business School. After receiving his MBA he worked in Switzerland, Australia, and London before settling in the United States as a senior executive with Salomon Brothers. In 1980 he became a US citizen, and began his own investment firm, James D. Wolfensohn, Inc., which included among its partners Paul Volcker, former chairman of the US Federal Reserve Bank. In 1995, President Bill Clinton nominated Wolfensohn to become President of the World Bank, and he assumed that post on 1 July 1995. The bank’s board of executive directors unanimously supported him for a second five-year term in 2000, and he became only the third person to serve two terms in that position. After leaving the World Bank he formed Wolfensohn & Company, LLC, a private investment firm and advisory group that provided consulting advice to governments and large corporations. He also became chairman of the International Advisory Board of Citigroup. He also served one year as special envoy for Gaza Disengagement for the Quartet in the Middle East, a post to which he was named by US Secretary of State Condoleezza Rice. 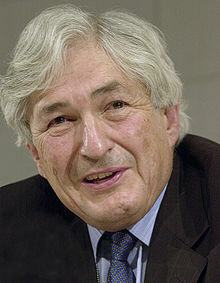 In 2005, James Wolfensohn also founded the Wolfensohn Center for Development at the Brookings Institution, a Washington-based think tank. He has received numerous honors. He was an honorary trustee of the Brookings Institution, trustee and former chairman of the board for the Institute for Advanced Study at Princeton, chairman emeritus of the Carnegie Hall, and of the John F. Kennedy for the Performing Arts in Washington, and was a member of the Council on Foreign Relations. He was awarded the Order of Australia in 1987 and received an honorary knighthood and OBE in 1995.